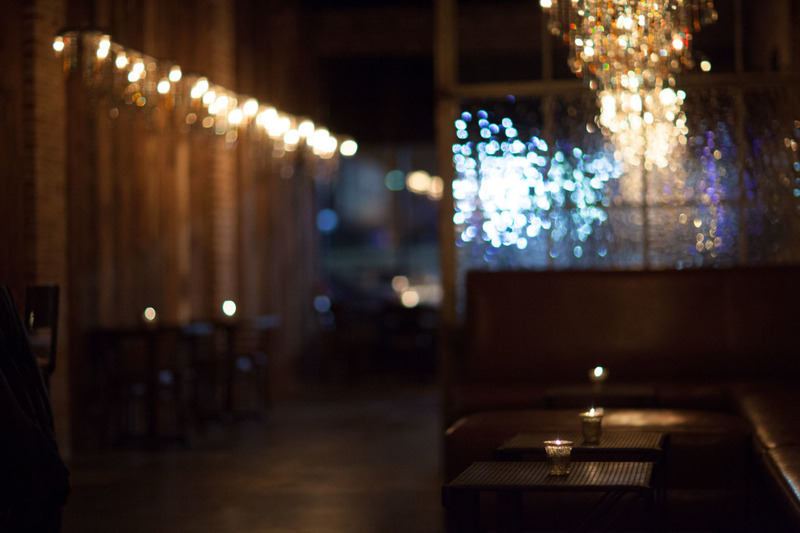 At a time when great artisanal cocktail bars are popping up in Tulsa at much the same rate as new apartment complexes, The Bramble shines with a truly unique perspective on flavor and experience. With a commitment to inventive (and often scientific) creations, and to showcasing foods and flavors homegrown in Oklahoma (many ingredients are sourced from partner farm, the Living Kitchen), The Bramble uses house-made cordials, drams and syrups to create new cocktail flavors featuring the state’s own bounty. 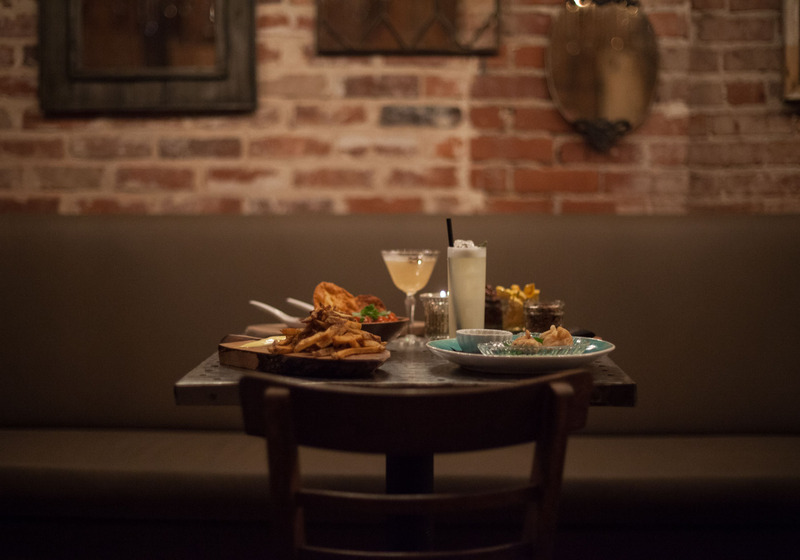 And with Tulsa’s love affair with local sourcing hotter than ever, The Bramble seems to come at the perfect time, filling a need we didn’t even know we had. Cocktails made purely of local foods and flavors? Damn, why didn’t we think of that? 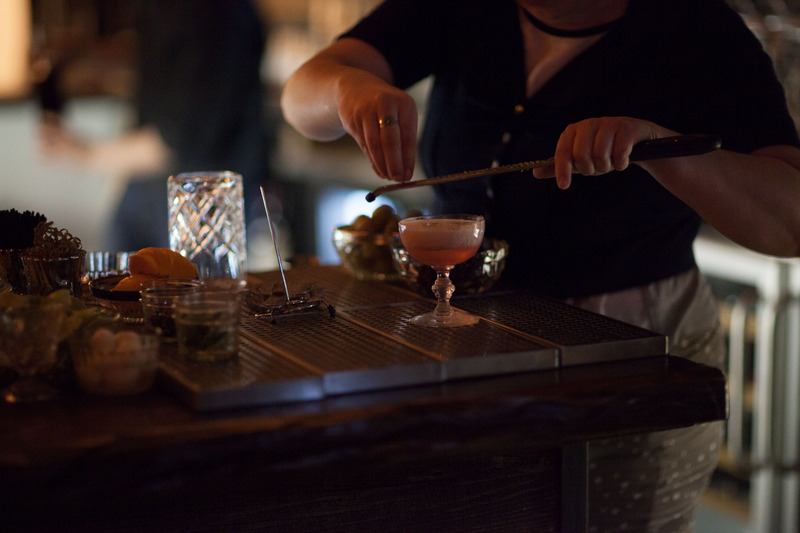 Selecting a drink at The Bramble is no easy task. For fans of tequila, there’s the Ruby Darby, a cocktail named for the infamous oil field blues chanteuse of decades past. 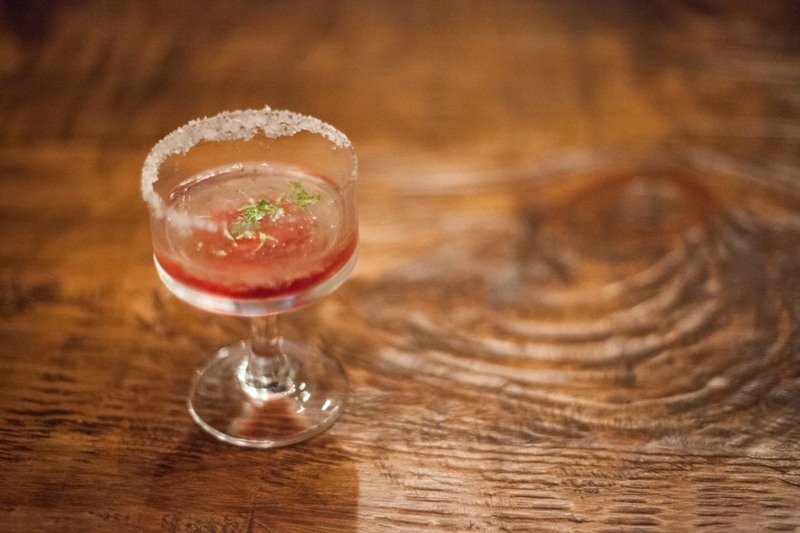 The drink combines peppercorn and prickly pear syrup with salt, tequila, and a center ice cube that sweetens and awakens the drink as it melts. It’s likely to be the fanciest margarita you’ve ever met. The Methodist Settlers offers another nod to Oklahoma history (ask Travis for the story), made with local apple-infused rye whiskey, applejack, orange bitters and bacon swizzle, and lands high on Hope’s list of favorite offerings. Also delicious is the Madame Pauline, named for the lady boss at a (now defunct) nearby brothel, which also happens to be the present-day office of Hope’s landlord. 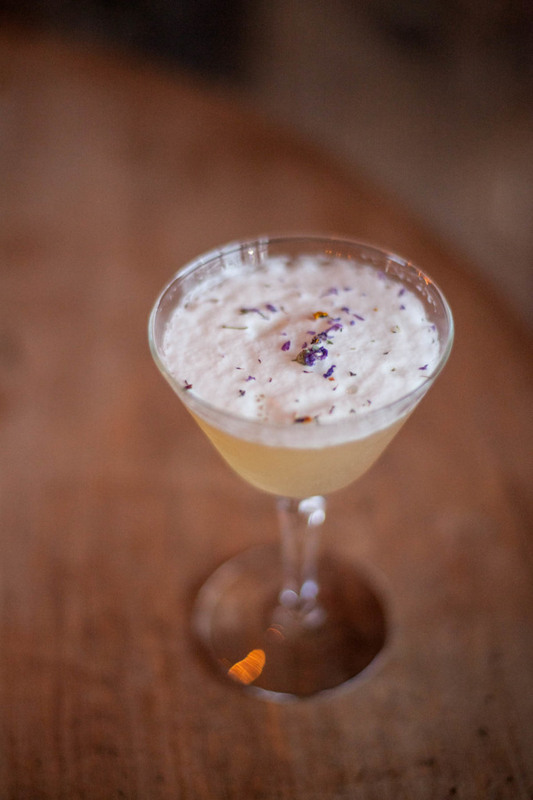 The Madame Pauline features old Tom gin, fig and cardamom syrup and an elderflower foamy top—a twist on a classic Daisy. 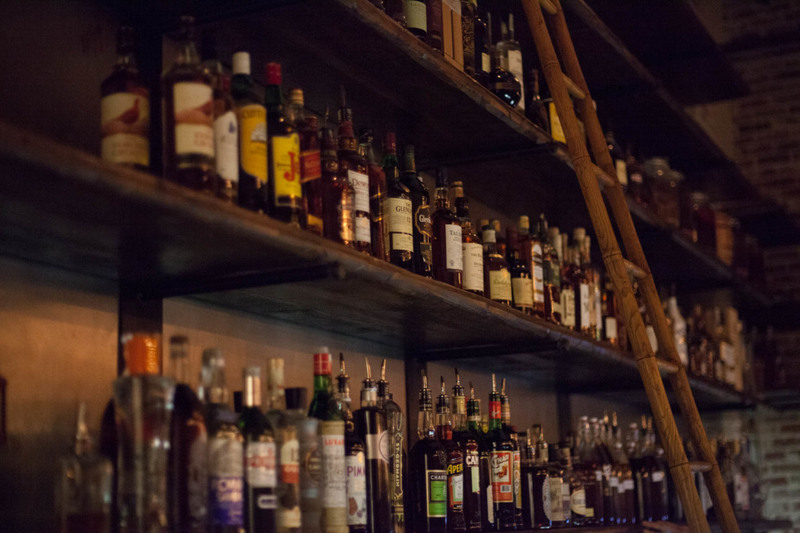 For something strong, Dr. Rick’s Cure-All is your best bet, and for something downright delicious, Hope again recommends the Methodist Settlers or bartender Paloma’s Manhattan. 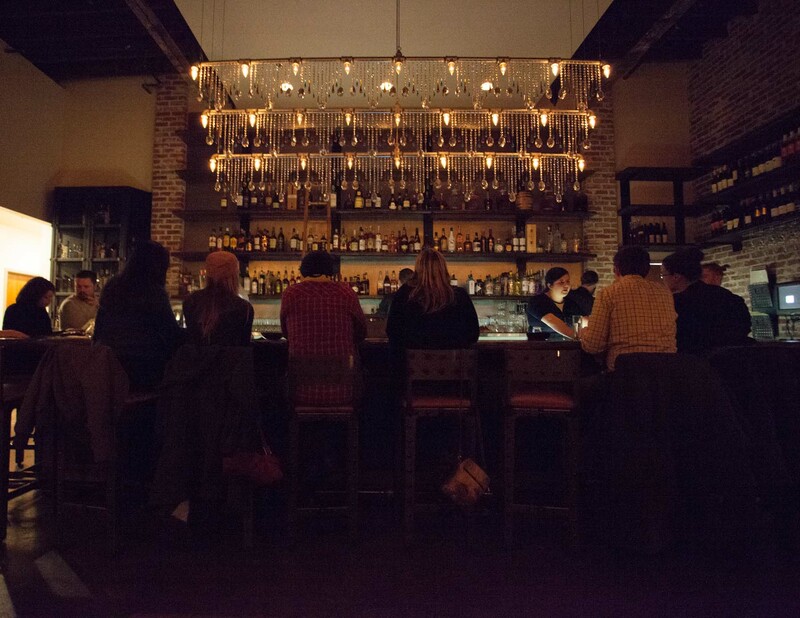 The Bramble also offers a nice catalog of select wines and beers, and an impressive array of imported spirits. Then, there’s the absolutely not, under no circumstances, to be missed spheroid “jello” shots—better known as Mad T’s Feast Flight. 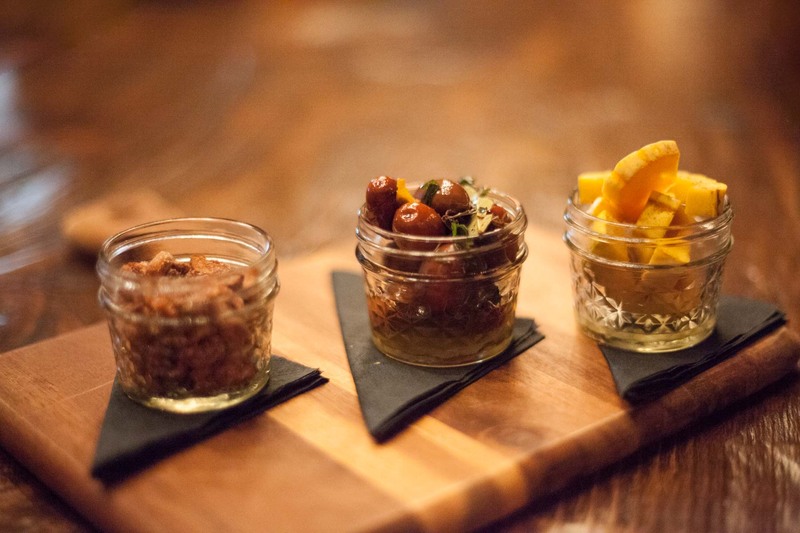 Based off a Thanksgiving dinner concept, the three-shot flight features three different ‘courses,’ and was created with a careful mastery of what Hope and her mad scientist co-conspirator, Travis Jackson, are calling “molecular gastronomy” (in layman terms, food science). The first course—a persimmon salad bowl shot with a gin & tonic and lime zest base (don’t try to figure it out. Just go taste it.) is perfect for citrus lovers. The second shot—a cranberry salad shooter with shaved celery and orange—is both puzzling and delicious. And finally, a bourbon sweet potato shot topped with toasted marshmallow finishes off the flight with a nutty hint of cinnamon and heat. 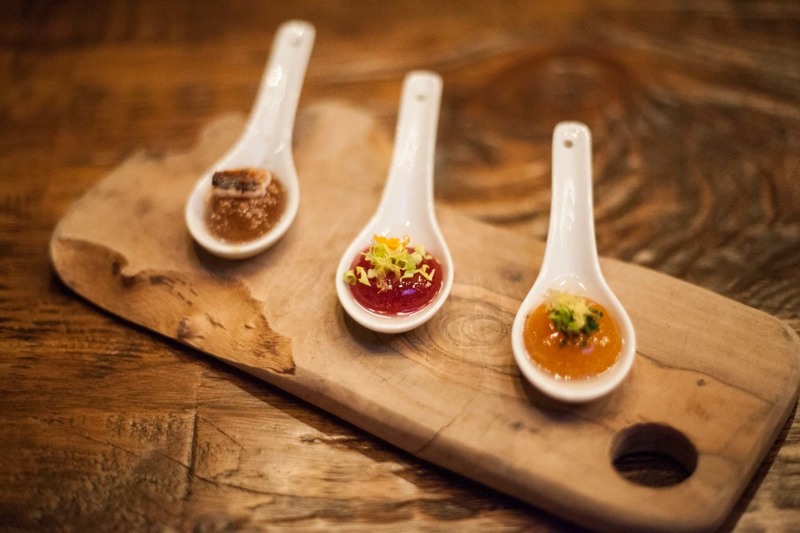 It took nearly a month to perfect the science and flavor behind the flight, and it shows. When it came time to create Hope’s vision for the dish, she knew she needed to find the smartest cook for the job. She convinced longtime friend Jackson to quit his daytime gig, swap his chef coat for a lab coat (if only for a time), study up, and experiment until they got it right. The result is magic. One puncture of the shot disappears it altogether, leaving a thick, intense rush of tastes in its wake. Forgive the expression, but there is simply no better way to explain the experience of shooting one of Mad T’s shots than to say the flavors, quite literally, explode in your mouth. 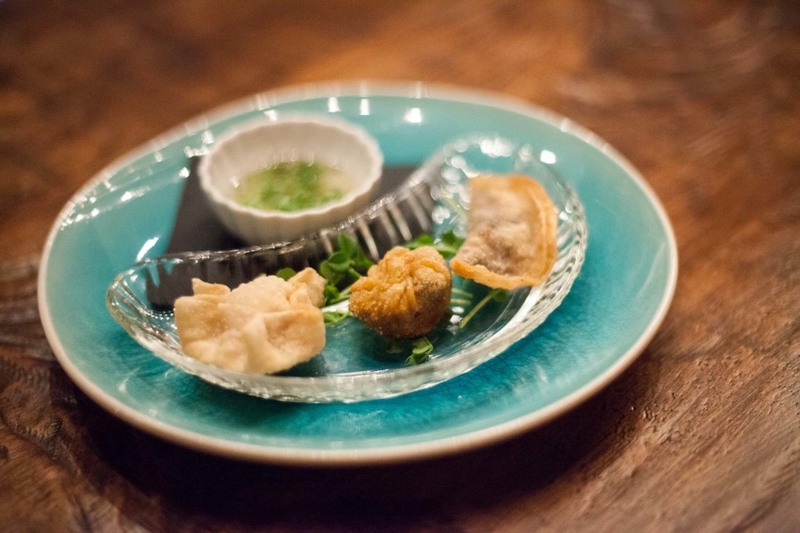 Executive Chef Michelle Donaldson sent out plate after plate (all small, meant to be shared and passed) of delicious bites to accompany our drinks. 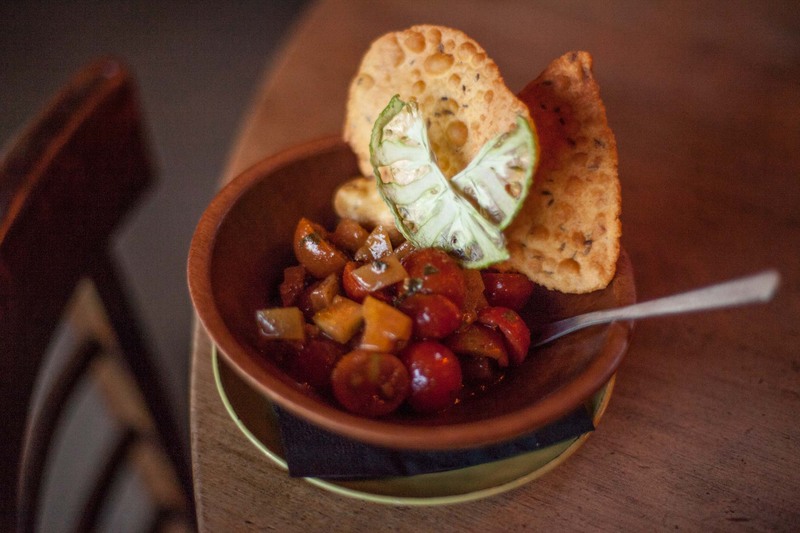 We started with the curry-spiced tomato salad, made with local Farmer John tomatoes served with curry-dusted, house made pompodons, and the Pimento croquettes, which surprised and delighted the palette with slight hints of bourbon and maple. And then came the empanadas. I asked Hope what she’d serve her most important guests should they only be able to visit The Bramble once, and the Empanadas were at the top of her list. 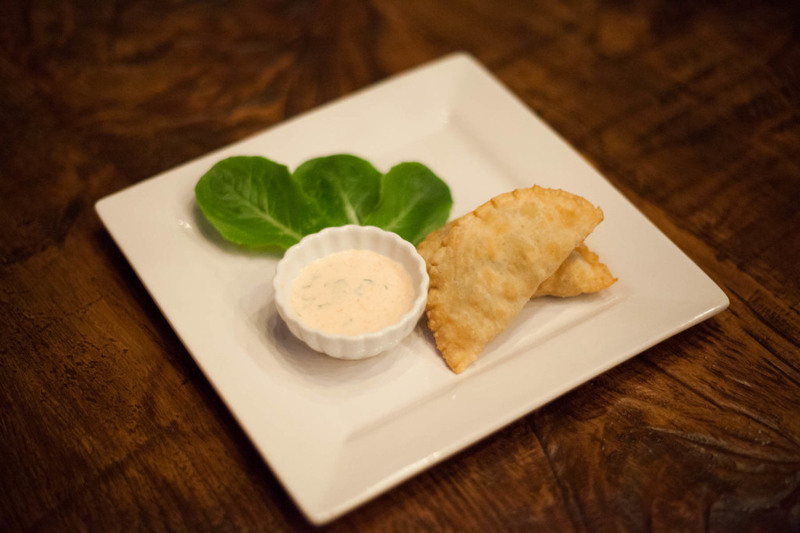 The Chorizo Manchego Empanadas come two to an order, feature a flakey, powdery, pillowed crust covering chorizo, squash, and manchego with a slight hint of hazelnut, and are served with a tomato and mint crème fraiche. Other fantastic plates included the ‘Jars of Stuff,’ featuring honey cayenne cashews, grilled olives, and pickled delacotta squash from their partner farm, and The Dumplings (pork and fig, shitake, carrot and herb, and the truffled goat cheese). 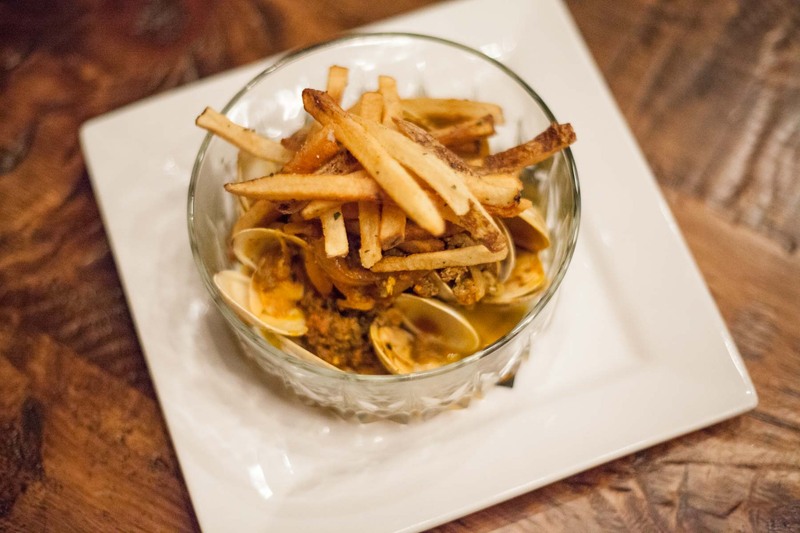 For a more substantial plate, go with the Clams & Chorizo Verde, served with savory, sea-salt dusted house fries and hefty, steaming dollops of chorizo in beer broth. The Bramble is somehow both familiar and altogether uncommon. Dark wood and cabinetry, exposed brick and handcrafted lighting fixtures dripping with jewels (made by local artist Bob Cabe) give it a feeling of relaxed luxury. 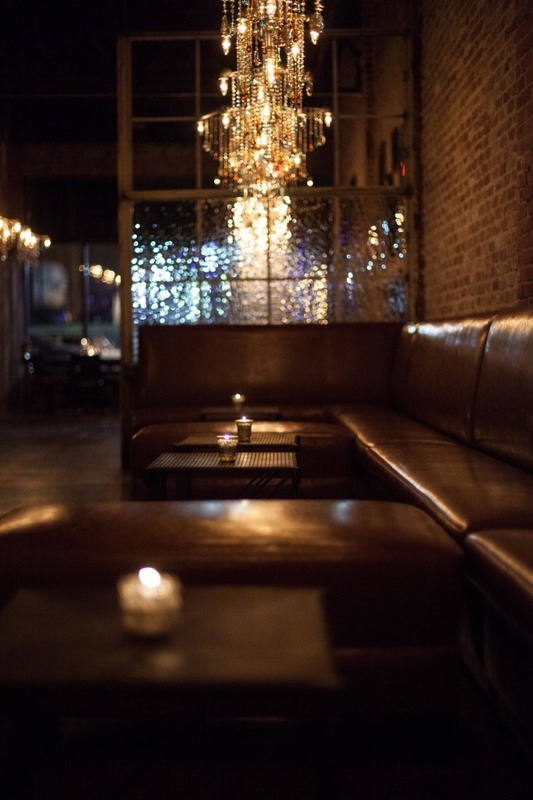 For an intimate evening out, snag a cushioned spot in the lounge area, where dark tones and a plush wall banquette offer a romantic feel. 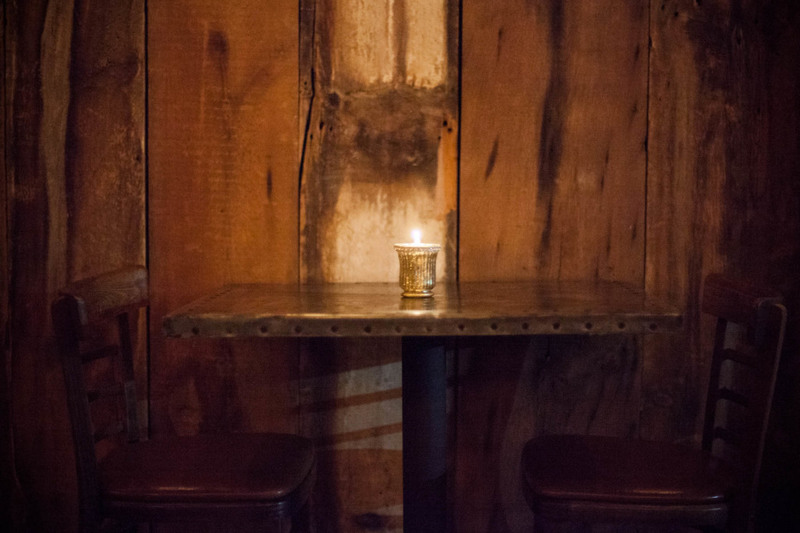 To wine away a drizzly afternoon, warm up in front of Bramble’s large fireplace and get cozy. 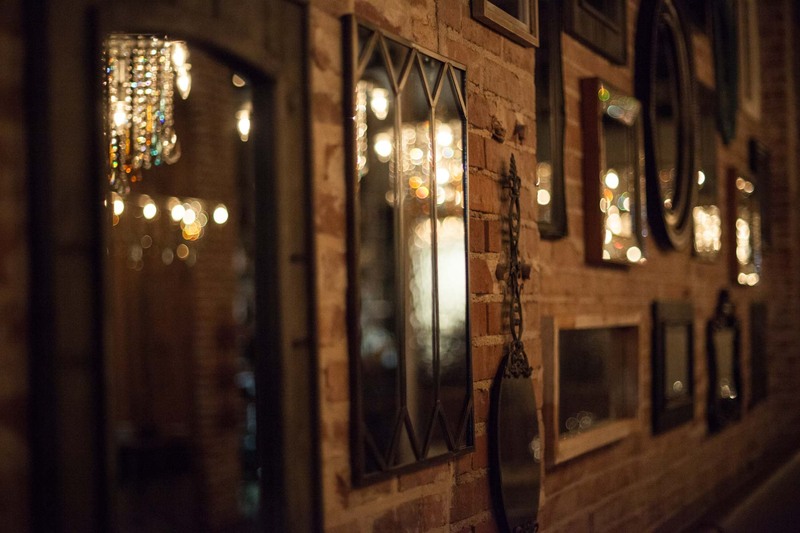 And to enjoy a few of their signature concoctions with friends for a happy hour, grab a spot at the bar and take in the wall of the spirits, the repurposed glass, and the ample mirrors around the space. The ownership couldn’t be better, either. Hope is warm and conversational with friends and patrons alike, eager to share the stories and inspiration behind her culinary creations. 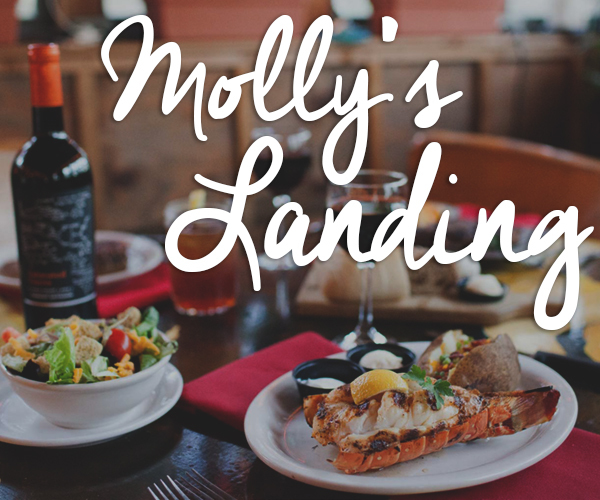 With over ten years experience as a chef and 20 years experience as a bartender, she is no stranger to innovating tastes. 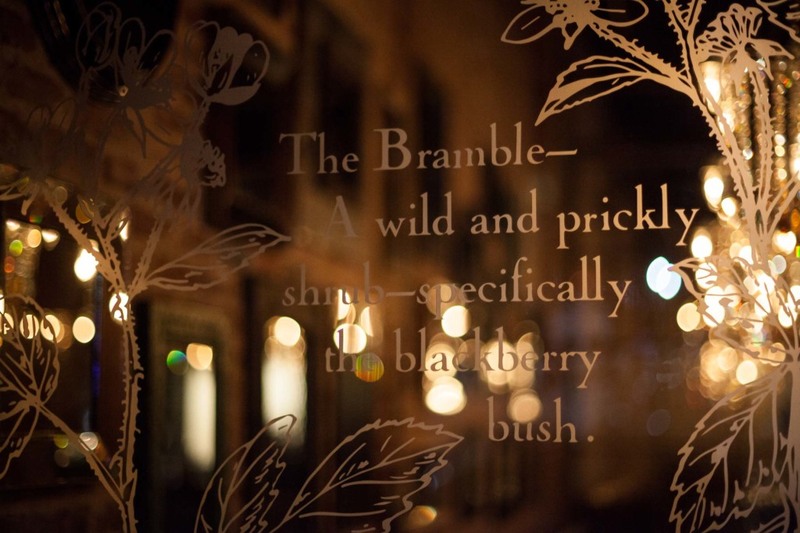 And with a team of skilled collaborators working beside her and an excellent General Manager in Jason Thompson, there’s no doubt that The Bramble will have guests clamoring for another round. 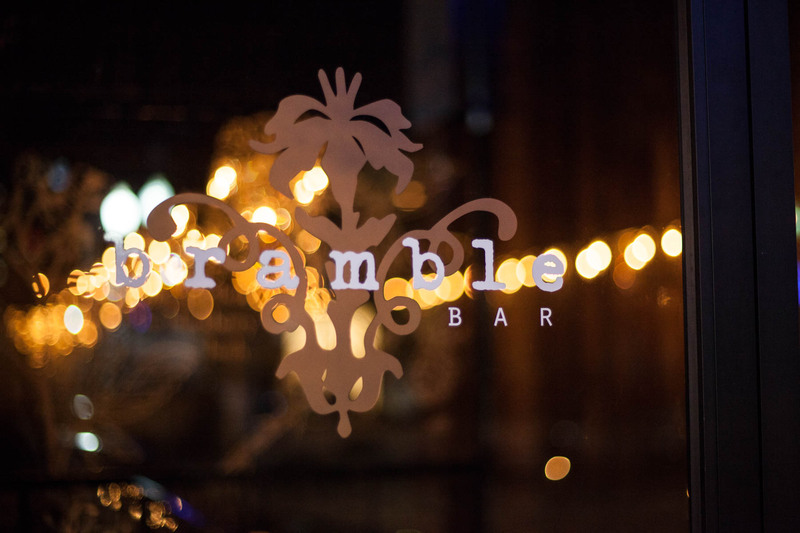 Stop by The Bramble any night Tuesday through Sunday from 4 pm to 2 am.